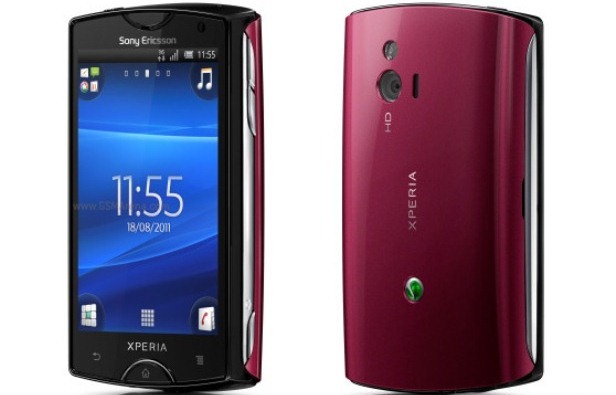 The Xperia Mini from Sony-Ericsson, also known by its model number – ST15i – was launched in August 2011. This is a high quality Android smartphone that uses a 320 x 480 pixels touchscreen and operates a Single-Core 1 GHz processor. A very efficient tiny device, this one can sometimes experience software issues. In this situation, as well as whenever you forgot the passcode or you’d like to refresh the operating system, it’s recommended to hard reset the Sony-Ericsson Xperia Mini. Before we explain how to do this, you should understand how the procedure is going to affect your smartphone. To put it shortly, the factory reset is going to fully restore the device to its original settings. Doing so will delete all data, as well as the settings and apps that you previously installed on the Xperia Mini. In order to avoid losing any important media files, contacts or similar documents, it’s important to make a backup. The phone comes with 512 MB of RAM and runs on Android OS v2.3 – popular under the name of Gingerbread. For those of you wanting to take advantage of better features and efficiency, the OS can be upgraded to Ice Cream Sandwich – version 4.0. With the Qualcomm QSD8255 Snapdragon as its chipset, this Sony-Ericsson has a Wi-Fi hotspot and allows access to both a 2G and a 3G network. In terms of taking photos, there is only one camera: a 5 MP one with autofocus, face and smile detection. There are two ways of rebooting this smartphone – the first one involves using the Main Menu, while the second one is suited for frozen devices, as it uses the hard reset buttons. To create the necessary backup before getting started, you should connect to a PC with the USB cable and transfer all data into a folder that you will remember. From the Menu of the smartphone, go to Settings. Select Privacy and choose Factory Data Reset. After having read the disclaimer, press the button for Reset Phone. Press Erase Everything to continue and wait for the restart to begin. Switch the phone off, pull the battery out and place it back in. Press and hold the Power button (1), and then press the Volume Down key (2), holding both of them for a few seconds. Wait for the Recovery Screen to appear, and scroll down with Volume to select Clear Storage. Press Power to move on and wait for the next options to pop on the screen. Select Yes with the Volume Down key and tap Power to choose it. ye kaam nahi kr raha hai q ?